Hang it Up! 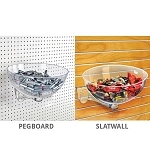 Plastic Pegboard Hooks allow for great organization of your merchandise. available in 2in., 4in., or 6in. 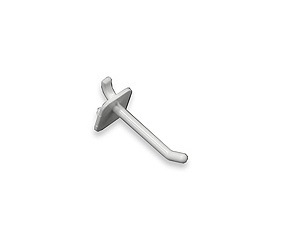 versions, these hooks will hold toys, cosmetics, small hardware, craft items, candy, and more. These hooks work with standard pegboards. Need something to put your hooks on? We have several pegboards for you to choose from. Order today. 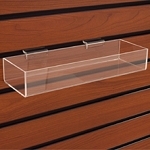 Also available in 4", and 6"
Hanging Bowl Display - 12in.